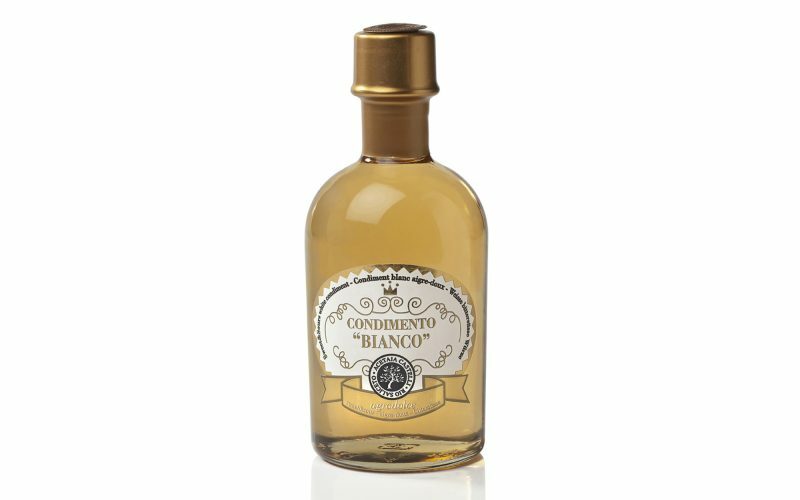 “BIANCO” balsamic condiment is made with 65% of concentrated white grape must, 35% of white wine vinegar. It’s a young product quickly aged in virgin barrels for balancing the color and taste. The acidity is only 5% that is perfect fresh summer salads. How to taste it in our daily cooking: it’s ideal for summer salads, fish and white meats. It doesn’t “soil” a dish so it is perfect to maintain the original color but at the same time gives sweet balsamic notes. Ingredients: concentrated white grape must, wine vinegar. It doesn’t contain colorant, preservatives or thickeners.